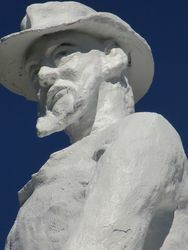 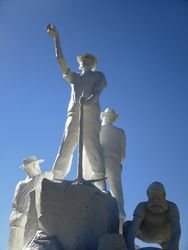 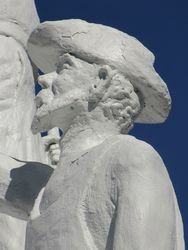 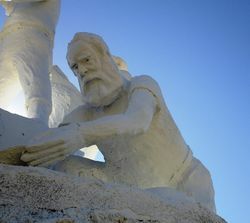 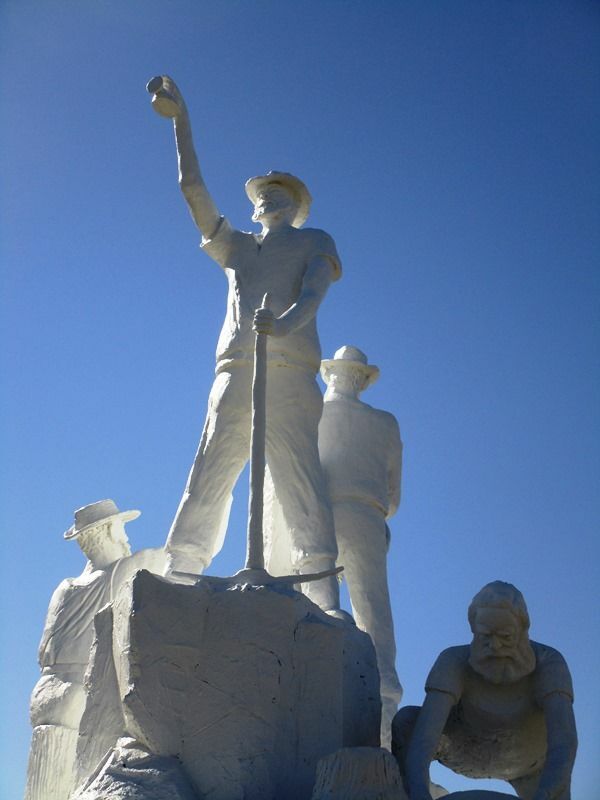 The statue commemorates Gympie's past gold miners who first mined in the district in 1867. 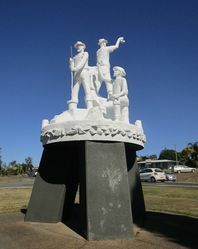 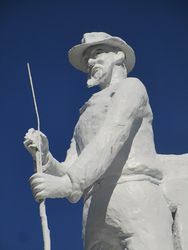 The Lions Club of Gympie commissioned Mr Herman Hussman to design the statue as a community project for presentation to the City of Gympie. 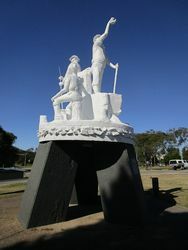 Designed And Sculpted By Herman Hussman As A Gift To The People Of Australia. 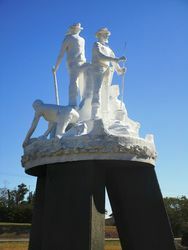 The Tripod Characterises The Underground Goldmining.